The Moghals or Mughals are a chief Muslim people of India. They have two main divisions; the Moghal of Persian and the Indian descent. 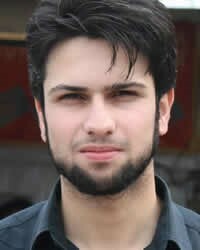 Both are of relatively high social status as people from the conquering Muslim kingdoms. Because of their wide distribution across India and Pakistan they are well respected. In Nepal they can be found in nearly all the Terai districts. 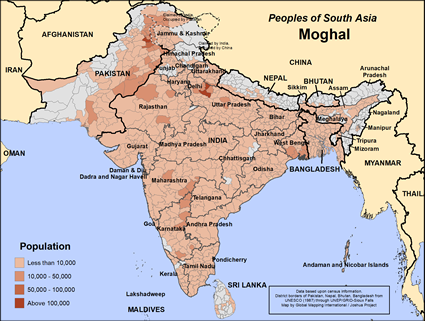 The Moghal people are of the Urdu Muslim people cluster and are believed to have originated in Mongolia. They are found mostly in northern India and Bangladesh, however there are smaller populations residing in Afghanistan and Nepal. In Afghanistan, they live primarily in two villages near Herat, Kundur and Karez-i-Mulla. In most places they speak Urdu, however in Afghanistan they speak Mogholi, a nearly extinct language. In northern Afghanistan, many are now speaking Pashto. Many in Afghanistan also speak Dari. There are about 200 Mogholi speakers left out of an ethnic group of a few thousand. They are sometimes called the Turk people. The Moghal people tend to marry within their own tribes and prefer cross cousin marriages. They follow the same marriage rules as other Muslims living near them. Both sons and daughters receive an inheritance based on the laws of the Quran. They used to be known as soldiers in some places, however today, they are mostly farmers. The Moghals have often served in government and public service positions. They primarily speak Nepali with others and Urdu among themselves. The Moghal families tend to only marry within their own cousin clans and give their daughters only to a select group of Muslim communities. Rings on finger, nose, toe or ear and wearing bangles are all part of identification of married women. Both sons and daughters receive inheritance. Common surnames among these communities are Mirza and Beg. The Moghals are divided into both Shiite and Sunni sects. 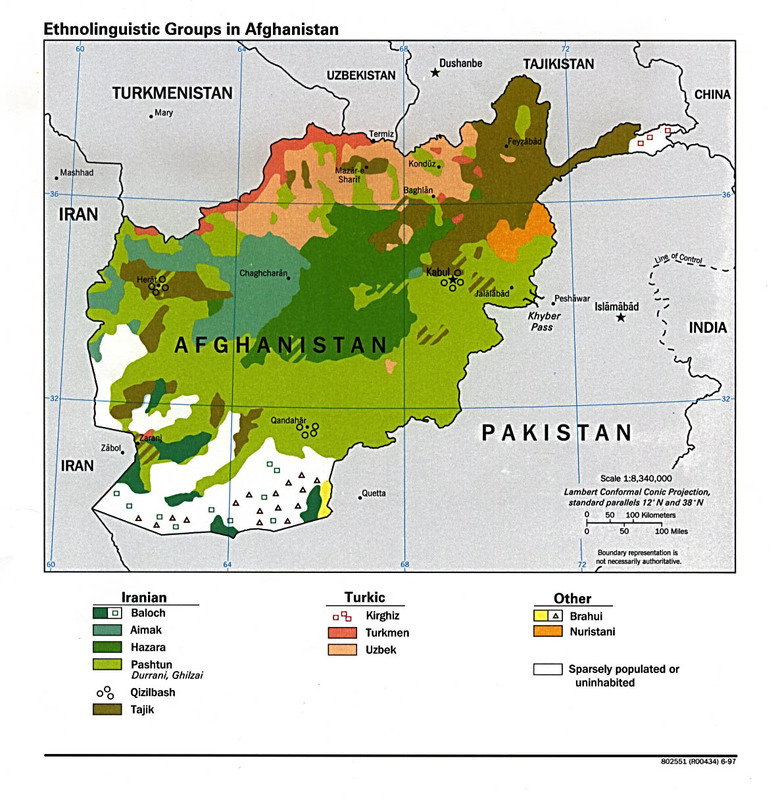 Outside of Afghanistan, the Moghal are divided into Shiite and Sunni sects, however in Afghanistan they are primarily Sunni Muslims. An extremely small percentage of them are evangelical. There are no resources available to them in Mogholi and no known groups working among them. Mughals are known to be receptive to a variety of developmental programmes and have a positive attitude towards education. It is possible that they could be good managers of development projects that are introduced. Their families in parts of India are open to the use of modern medicines and have responded to family welfare programmes. View Moghal in all countries.